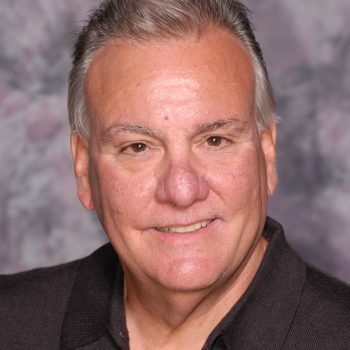 Our Team - Irvine, Woodbridge, Northwood | Vistem Solutions Inc.
Rodney Shook serves as President and Chief Software Architect for Vistem Solutions, Inc. He has an MBA from Pepperdine University and utilizes his background in Business to consult with clients on utilizing automation for business process reengineering. Rodney’s background is in leading development teams for Military and Satellite systems as a Software Architect as well as Program and Project Manager. Rodney resides in Orange County with his wife and two children. He is a Coach for his daughter’s soccer team and involved with his children’s school as part of the site council. Keith Nelson and his family have lived in Riverside since 1985. He has a Doctrine in Computer Science and completed his American Electronics Association (AeA) [now The Stanford Executive Institute) at Stanford University. He still remains active with the CalTech/MIT Enterprise Forum as well as CompTia Keith was President of the Riverside Poly High School Special Education Boosters while his eldest son attended high school and that spring boarded his passion for community service. Keith’s passion is athletic and social programs for those with special needs, and has coached for many years with Arlington Little League – Challenger Baseball. With his wife, he later started Junior All American (AYSO) VIP Soccer and later began coaching with Special Olympics. He will be taking his team to South Korea as part of Team USA for the Winter World Games – 2013. Keith’s community involvement has focused on youth and young adult activities with a slant towards athletics. Keith also serves as the Chairman of the Commission on Disabilities for the City of Riverside, Board Member for Ability Counts, Advisor ARC of Riverside County, and Regional Council for Special Olympics. Brian Anderson received a Bachelor of Science in Computer Engineering and Computer Science from the University of Southern California in 1996. He is familiar with the following technologies and approaches: Visual Studio.net (including VB.net, C#.net, ASP.net), database design and administration (including SQL Server, MySQL, Oracle), Object-Oriented analysis and design, network design and maintenance. For the past 12 years, Brian has been the lead developer and database administrator for the ILWU Dispatch Hall Assistant at the port of Long Beach. Responsibilities include creating the software architecture, database design, and interfacing software with hardware for a complete solution. Brian, his wife and twin daughters make South Orange County their home. Shobha Ravikumar came to the USA after receiving a Bachelor’s degree in Electronics & Communication Engineering from the University of Mysore, India. Her expertise is in complete systems development lifecycle using current software methodologies. She joined the Vistem team in March, 2000 as one of the lead developers for the ILWU Dispatch Hall Assistant application serving the Port of Long Beach. She is involved in the development, maintenance and support of this application. She started her software career creating Executive Reporting and Management Dashboards for an oncology practice. Shobha is a longtime resident of Orange County and is active in the community. She currently serves as a Volunteer and Activities Coordinator in her church.